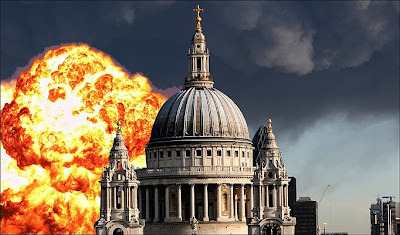 The Sun - Tabloid Lies: Bombs over London. No big surprise to hear a soundbite on LBC news just now from a Tory MP who supports Jacqboots' latest draconian measures. His name? Patrick Mercer, friend of soi-disant "intelligence expert" Glen Jenvey. Patrick Mercer has issued a statement regarding his relationship with our Glen, and I don't think it's fair or accurate to describe him as a friend of Jenvey. However, it's entirely fair to suggest that he should exercise more caution before issuing comments on terror stories in future.